In order to be able to meet the ever-increasing demands of the LHC experiments, and to be able to ensure the availability of critical services in the event of a major incident at the CERN Data Centre, CERN IT is installing equipment at the Wigner Data Centre in Budapest, Hungary. The Wigner Data Centre was chosen after a tender open to bidders from all 20 CERN Member States. The contract was awarded to the Wigner Research Centre for Physics, where the Data Centre is located, with the contract signature in May 2012. Construction of the new Data Centre commenced shortly afterwards and can be seen in this video. The first computer room was ready for operation at the beginning of January 2013 and CERN started installing equipment at this time. 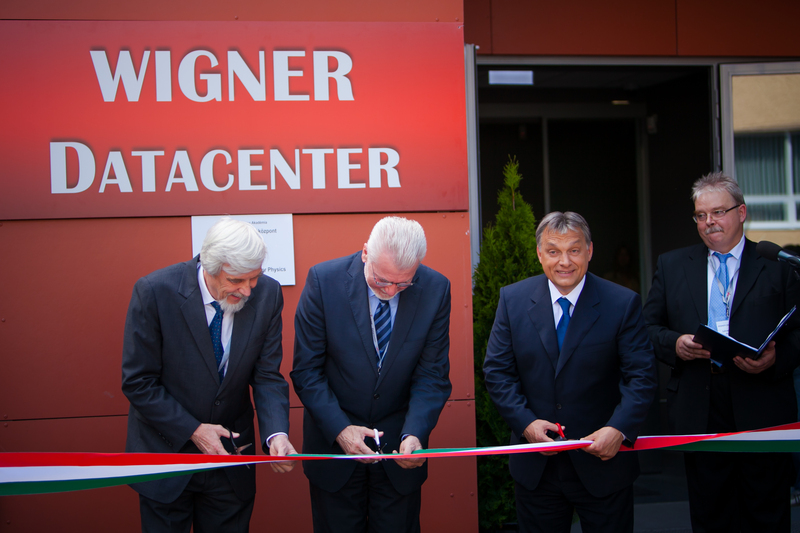 The completed Data Centre was inaugurated in June 2013 by the Hungarian Prime Minister in the presence of the CERN Director General and the President of the Hungarian Academy of Science as seen in the photo to the right. To date CERN a capacity corresponding to a bit less than 10% of the capacity of the CERN Data Centre has installed at the Wigner Data Centre and this will be gradually increased over the course of the potential 7-year contract to a level comparable with that of the CERN Data Centre. 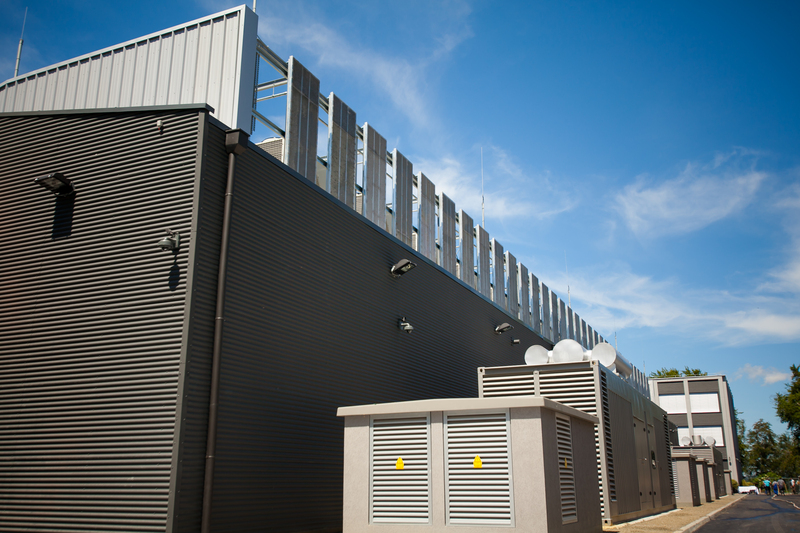 The Wigner Data Centre can be considered as a logical extension of the CERN Data Centre with the equipment being managed and operated from CERN in the same way as the equipment in the CERN Data Centre. Only activities requiring physical access to the equipment are being performed by the Wigner Data Centre staff, e.g. installation of equipment into racks, repairs to the servers, etc. The CERN and Wigner Data Centres are connected via two independent and dedicated 100Gbps circuits with a bandwidth equivalent to the transfer of 5 full DVDs per second.